Seat Belts Save Lives But Cause Neck and Back Injuries. The safety value of automobile seatbelts has been proven. They save lives !!! 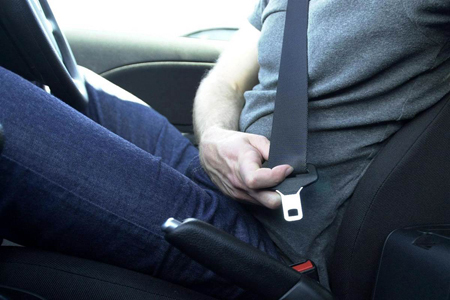 At the same time, it has been well established in the medical literature that seatbelts are capable of producing serious injuries to the spine, abdomen, and chest. Following seatbelt trauma to the abdomen, significant internal injuries can occur, including perforation of the small bowel and hernias of the abdominal musculature. Occupants who already have a health condition of the abdomen are at special risk.